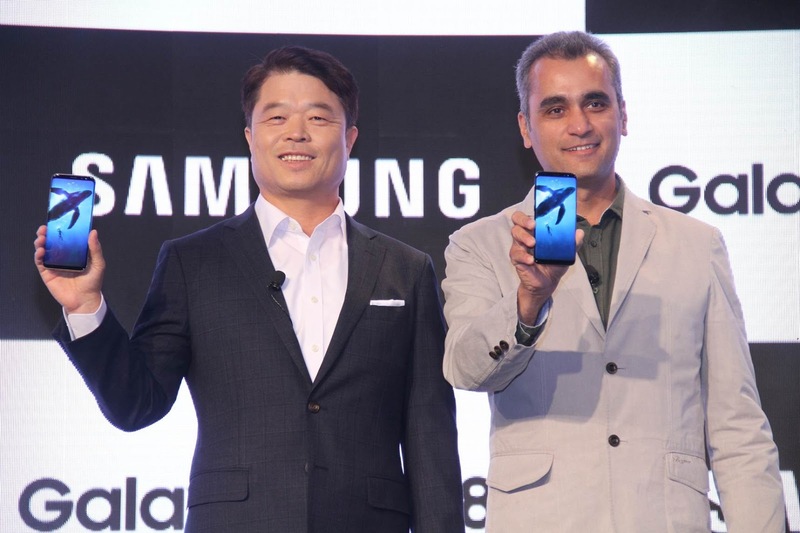 Samsung Electronics today launched its flagship smartphones Galaxy S8 and Galaxy S8+ in India, opening up infinite possibilities for the future with a new level of design, functionality and user convenience. The smartphones redefine the future of style and consumer experience with a stunning bezel-less dual-edge Infinity Display that provides a truly cinematic viewing experience. 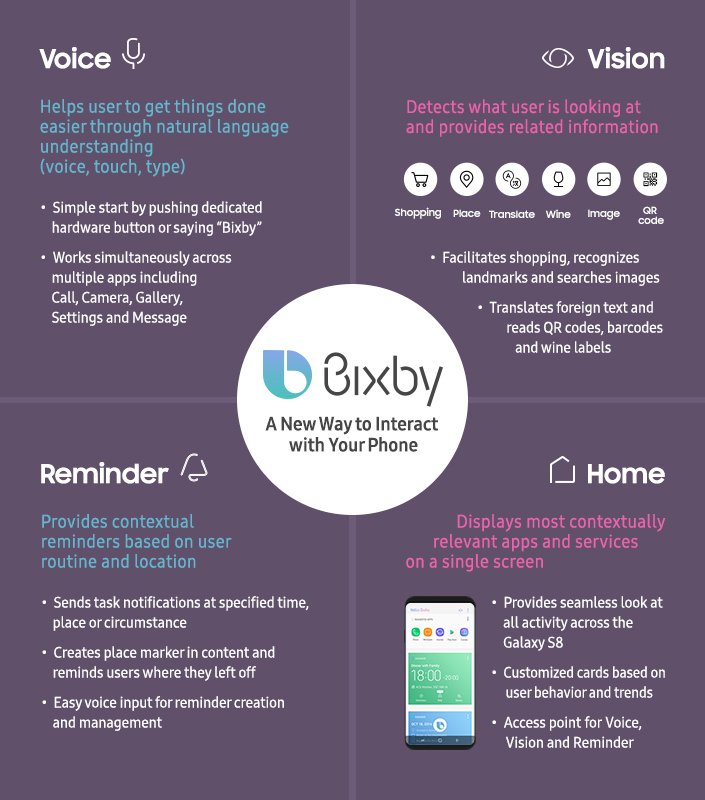 They also come with Samsung Pay, the mobile payment service with defense-grade security, the best low-light camera and a personal assistant, Bixby. Galaxy S8 builds on Samsung’s heritage of creating stunning designs and meaningful innovations that transform people’s lives. 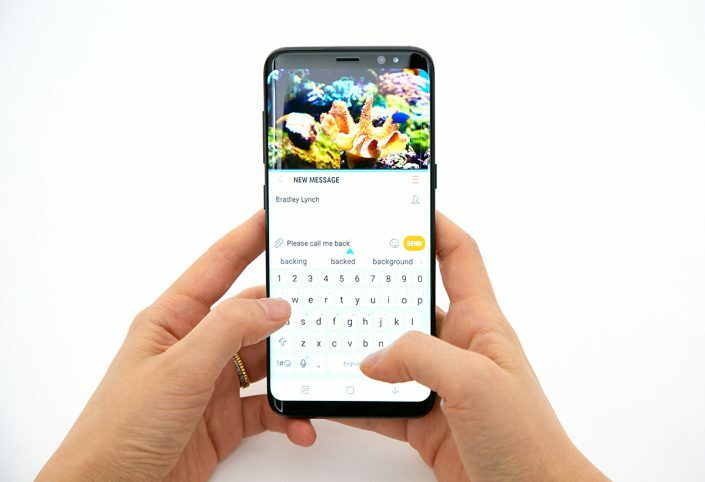 The Infinity Display and bezel-less design give you 18% more screen and form a smooth, continuous surface with no buttons or harsh angles, making multi-tasking more convenient with the 5.8-inch Galaxy S8 and 6.2-inch Galaxy S8+. The physical home key on the front has given way to a more intuitive soft key with a pressure sensor that is embedded under the display. Despite the significantly larger screens on the Galaxy S8 and Galaxy S8+, the reengineered design with rounded edges and symmetrical sides make them compact and comfortable for one-handed operation. The Corning® Gorilla® Glass 5 on both the front and back provides durability and a high-quality finish. Galaxy S8 and Galaxy S8+ come with a defense-grade security platform Samsung Knox. In addition, the smartphones introduce an Iris scanner, which is one of the most secure biometric identification systems on a phone. Galaxy S8 and Galaxy S8+ also offer a choice of biometric technologies including a fingerprint scanner and facial recognition. This is in addition to the traditional options of pin and pattern so that consumers can select a secure authentication method that works best for them. The devices come integrated with Samsung Pay, Samsung’s mobile payment service which was launched in India recently. With Samsung Pay, the user can turn the Samsung smartphone into a wallet, storing credit and debit cards, Paytm as well as the government’s Unified Payments Interface (UPI) and pay on the go by just tapping the phone on the PoS machine. With Galaxy S8 and Galaxy S8+’s new integrated Iris scanner, fingerprint authentication and Samsung Knox, Samsung Pay will now be infinitely secure. Samsung Pay now works with Visa, MasterCard, American Express, Axis Bank, HDFC Bank, ICICI Bank, SBI Cards, Citibank and Standard Chartered Bank. 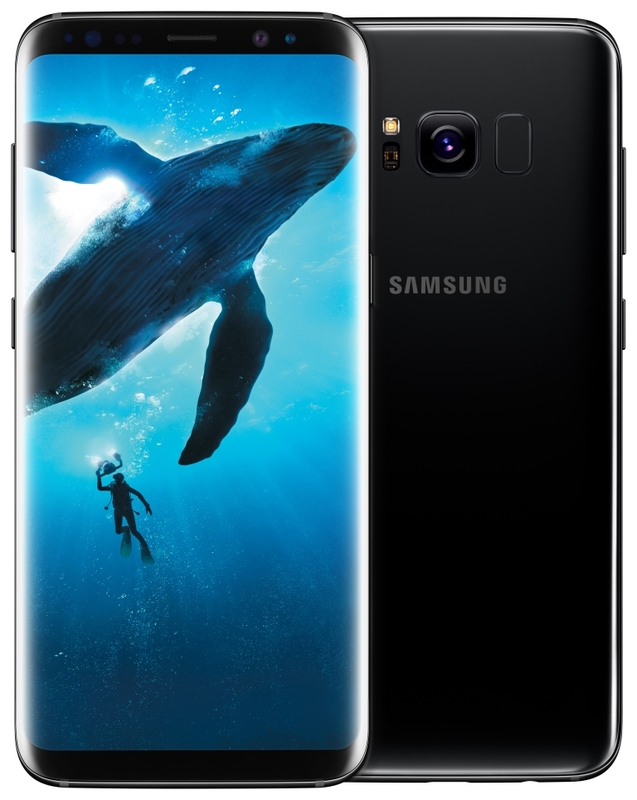 “The stunning Galaxy S8 and Galaxy S8+ come with new design innovations alongside cutting-edge technology that includes a revolutionary camera, the industry’s first 10nm processor, Bixby and robust Phone+ offerings. These devices will offer our consumers a gateway to a new mobile life where the power of innovation will carry them beyond barriers,” said Mr. Asim Warsi, Senior Vice President, Mobile Business, Samsung India. • Infinite Camera: Galaxy S8 and Galaxy S8+ are equipped with an advanced 8MP front camera with F1.7 lens that is perfect for taking bright and high-resolution selfies even in dimly lit areas. They are the first Galaxy smartphones with a front camera that supports autofocus, which, when combined with the facial recognition technology ensures you get superb selfies even from a distance. The camera also comes with fun stickers and stamps that no social media photo these days is complete without. Galaxy S8 and Galaxy S8+’s 12MP rear camera utilizes Dual Pixel technology for incredibly fast autofocus. Now you can clearly capture moving objects and will not miss an important moment. It also has an F1.7 lens to capture bright and crisp photos even in low-light environments. • Infinite Performance: The Galaxy S8 and Galaxy S8+ are powered by the industry first 10nm processor allowing for smooth multi-tasking with 20% less battery consumption than before. 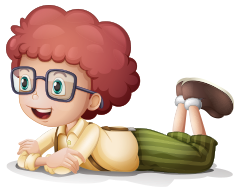 Now you can experience a seamless and interruption-free experience when playing graphically intensive games. • Infinite Entertainment: As the world’s first mobile device certified by the UHD Alliance as MOBILE HDR PREMIUMTM, Galaxy S8 and Galaxy S8+ let you see the same vibrant colours and contrasts that filmmakers intended while watching your favourite shows. Galaxy S8 and Galaxy S8+ also offer next-level gaming experiences with vivid and superior graphic technology, as well as Game Pack, featuring top game titles, including select titles supported by the Vulkan API. Galaxy S8 and Galaxy S8+ will be offered to consumers at a price of INR 57,900 and INR 64,900, respectively. The flagship smartphones will be available in India starting May 5, 2017 across select retail stores. They will be available online exclusively on Samsung Shop and Flipkart.